The White House spokesperson confirmed that Russia shares the same concerns over extremism in Syria like other countries and didn't rule out the possibility of American and Russian Presidents to discuss Syrian conflict in the nearest future. WASHINGTON (Sputnik) – Russia's interests in Syria are not at cross purposes with other countries as Moscow shares similar concerns over extremism, White House press secretary Josh Earnest told reporters on Monday. "It is clear, as some of the coverage over the last 48 hours indicates, that the interests of the Russians in Syria are not in complete conflict with the interests of the rest of the world," Earnest stated. 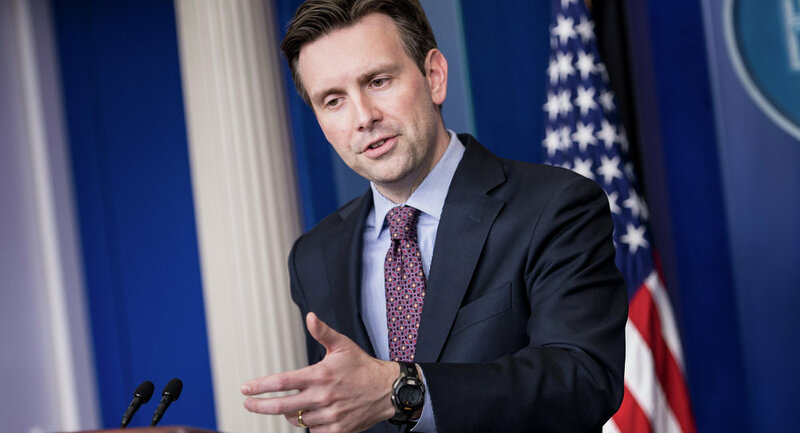 The press secretary explained that Moscow has its concerns about violent extremism. "The Russians certainly have their concerns about further volatility in an already dangerous region of the world, particularly in a country that essentially has functioned as a client state of theirs and where Russia has significant investments," he said. Earnest reiterated that Washington said that additional Russian support for the Assad regime would be "destabilizing and counterproductive." "So that’s why we, in our conversations, we have urged the Russians to consider how they could constructively coordinate their efforts with the more than 60-member coalition to degrade and ultimately destroy ISIL," he concluded. In recent days, Russia has confirmed that it is assisting the Syrian government led by President Bashar al-Assad in an effort to combat ISIL terrorists. Following the news, Western media began reporting on Russia's alleged military buildup in Syria. Russia has been engaged in international efforts to solve the ongoing civil war in Syria, as well as provide humanitarian aid to the Syrian people. The presidents of the United States and Russia may discuss the ongoing conflict in Syria. "I certainly wouldn't rule out additional — or I certainly wouldn't rule out future presidential-level conversations on this topic and others," Earnest said. "And so at the appropriate time, I wouldn't rule out a presidential conversation at this time." Barack Obama feels like "they have the kind of relationship [with Vladimir Putin] that allows them to be pretty blunt with one another," the press secretary added. Syria has been engulfed in a civil war since 2011. Apart from countering the so-called moderate opposition, Syrian government forces are fighting against militants from extremist groups including Islamic State and the Nusra Front, an al-Qaeda affiliate in the country. Since the start of the conflict, the United States and some of its allies have supported the moderate Syrian rebels while calling for the current president's resignation. Russia stands for the peaceful conflict-resolution, having hosted two rounds of intra-Syrian peace talks this year in an attempt to promote dialogue between the government and the opposition.